Create an atmosphere of rustic sophistication in your bedroom with this panel bed. 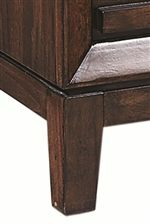 The piece features a Cinnamon Walnut finish over walnut veneers for a warm and welcoming appearance. Raised paneling across the headboard and footboard pairs nicely with the tapered legs, bringing a sense of texture and dimension to your bedroom. 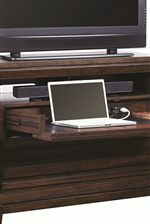 Designed to maximize on style and function, this bed features smart lamp assist technology, allowing you to plug in lamps and turn the lamps on or off from either side of the bed. Show your appreciation for relaxed refined style and modern function with this panel bed. 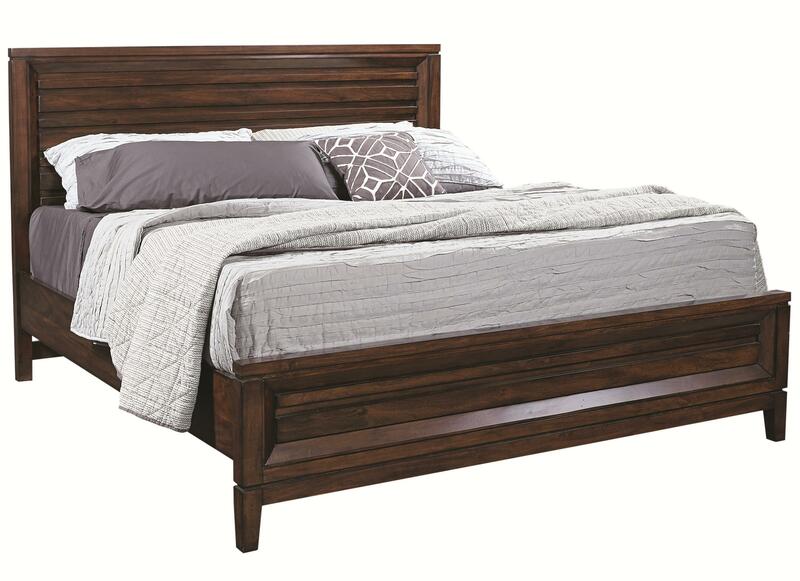 The Walnut Park Eastern King Panel Bed by Aspenhome at HomeWorld Furniture in the Hawaii, Oahu, Hilo, Kona, Maui area. Product availability may vary. Contact us for the most current availability on this product. 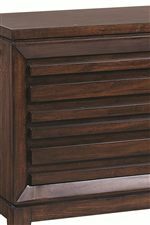 WAL590010 King Panel Bed Headboard 1 79" 5" 54"
WAL590013 King Bed Rails 1 82" 2" 8"
WAL590011 King Low Profile Footboard 1 79" 3" 21"